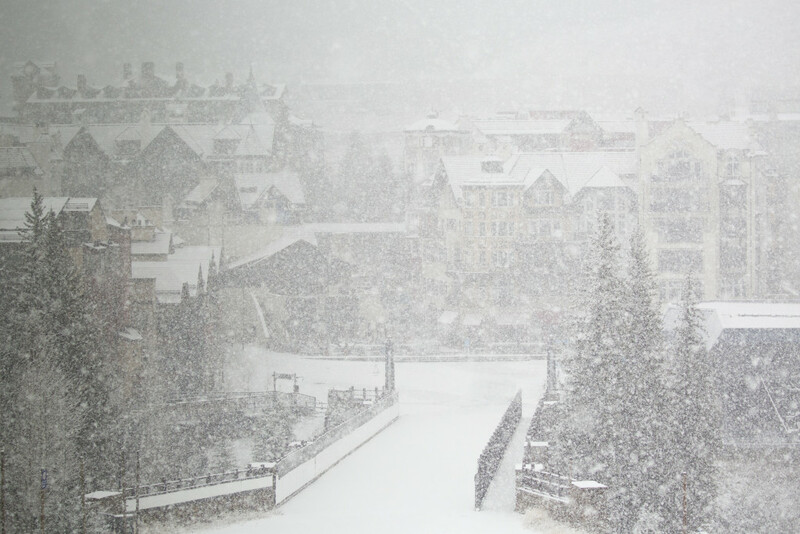 Another snow storm has been rolling through Vail since yesterday evening, bringing 5″ of snow at the 5am report with flakes continuing to fall steadily through midday. 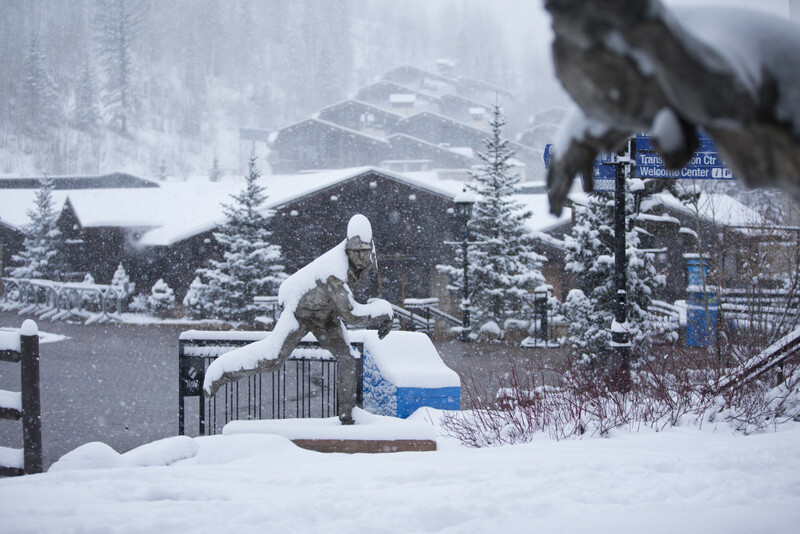 Photos from this morning in Vail Village and Lionshead by Andrew Taylor. 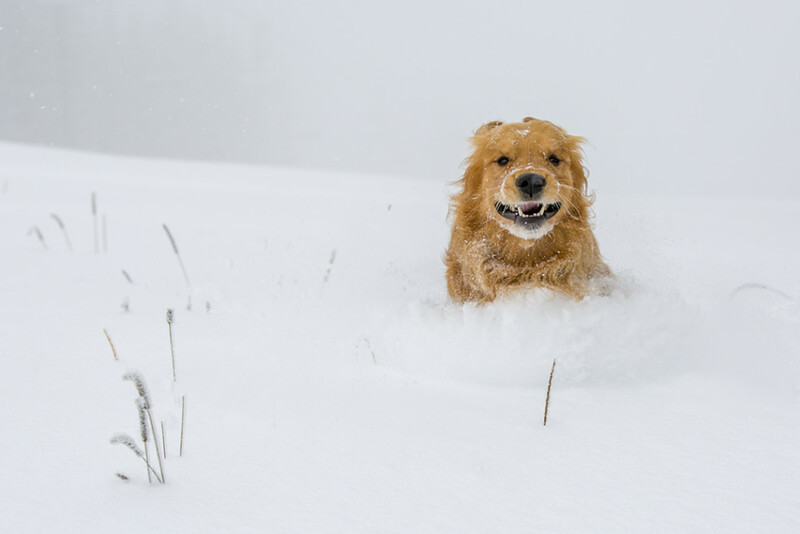 Time to get excited – winter is back in a big way at Vail! We received 10″ on the official Vail snow stake at 5am this morning and have seen at least a few more inches fall throughout the day today. The natural snow coverage is building up and chilly temps have allowed snowmakers to fire up guns on Born Free; all good signs for opening day, Nov. 20. Snow falling heavily in Lionshead around midday. The snow has been falling heavily in spurts throughout the day. There’s more in the forecast through tomorrow so enjoy these pictures and video and check the blog tomorrow for more updates! With opening day approaching Nov. 20, we were excited to see snow piling up around Vail today! 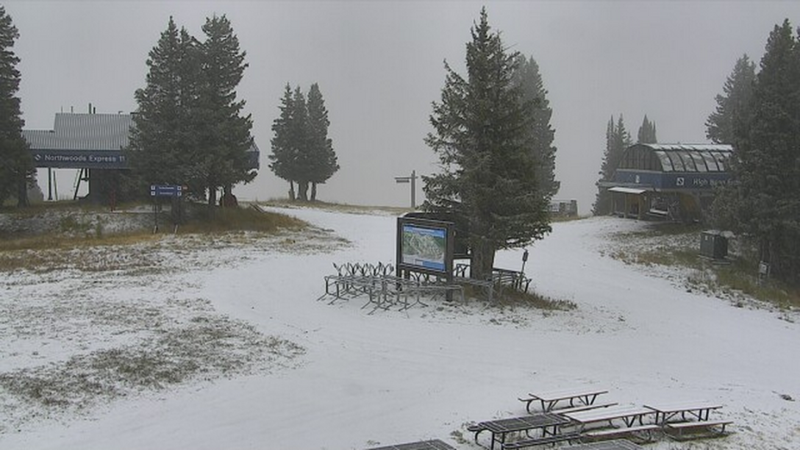 Screen grab from the Buffalo’s webcam taken at 8:15 a.m.
October 22 UPDATE: Snow is falling at Vail! 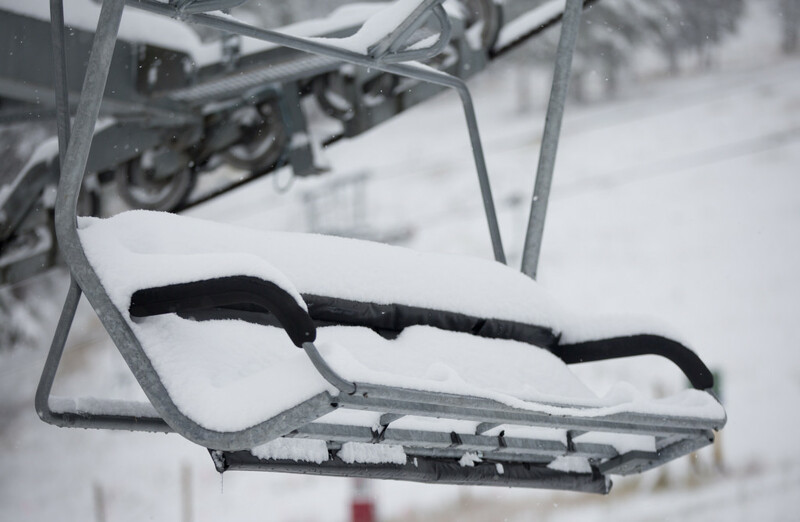 Watch the live webcams for accumulation throughout the day – more snow in the forecast through tomorrow. 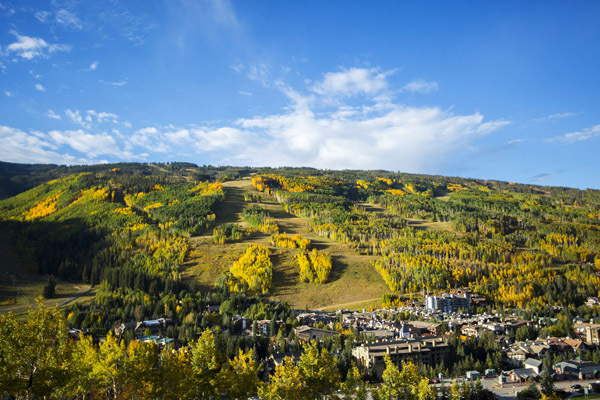 Happy first day of fall from Vail! While it may be the “first day” by the calendar, we’ve been seeing those incredible fall colors popping up for a couple of weeks now. We are now heading into peak fall foliage, so if you’re looking for a leaf-peeping get away, this is the weekend to do it! Photos by Andrew Taylor. While we’re excited to be rolling out our mountain bikes and strapping on our hiking shoes during Vail’s incredible summer season, when you love skiing and riding as much as we do, winter is always on the brain. 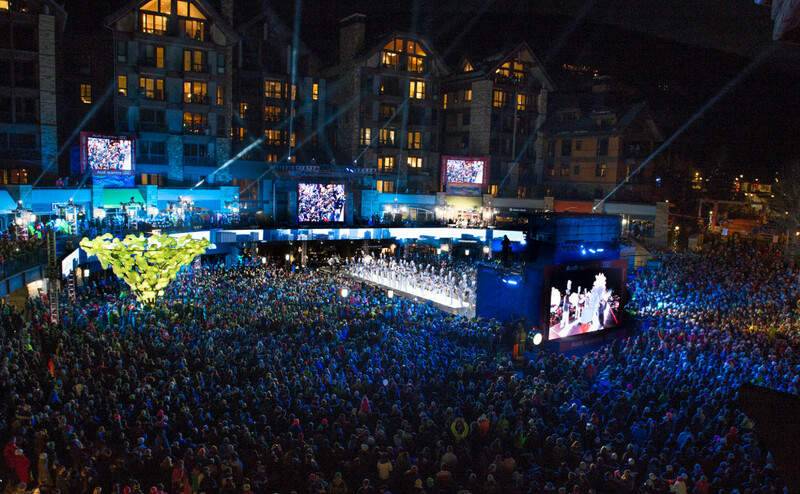 So join us in celebrating our picks for the Top 10 photos captured by our photographers last season at Vail!